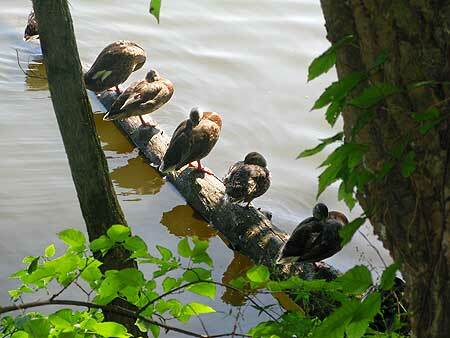 On a recent hike, we saw several groups of ducks sunning themselves. It was just that kind of day, I guess. 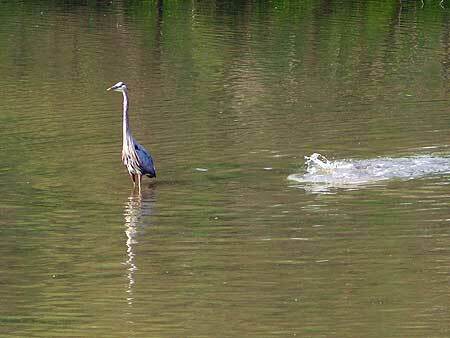 This Great Blue Heron was patiently waiting for dinner while a fish was splashing around behind. I think the fish was taunting him – not a smart move really. What do you think? This was in Hinckley Reservation, if you have not guessed that yet. I was driving to work early this morning in Interstate 77, and something in the periphery of my vision caught my attention. It was two wild turkeys walking in the grass beside the road. Now, this was well within what I would call the city, so I was quite startled. I wish I could have had a better look, but – I was driving. I saw a whole flock of them recently and there used to be at least one that ranged near my house, but other that that, sightings are rare. I hope that this means that they are becoming more common here. When I am not driving to work, I make beads. 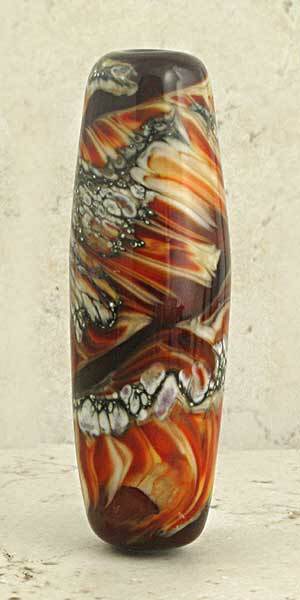 Check them out at Etsy or my Spawn of Flame website. 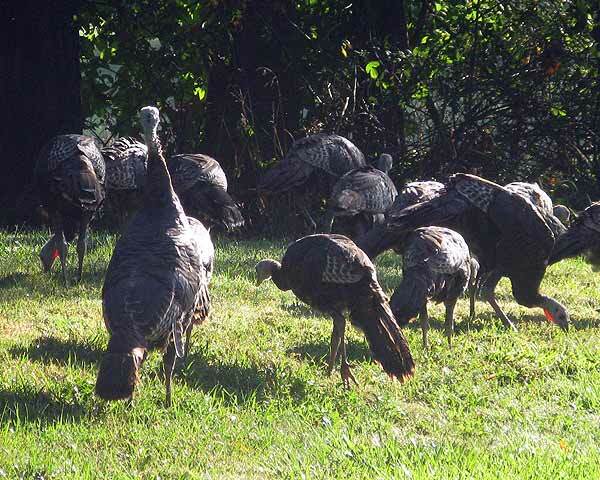 I was driving early in the morning a couple of weeks ago here in Bath Township and suddenly a flock of turkeys crossed the road in front of me. They were quite orderly and quickly crossed the road in single file. Once gathered on the other side, they started to graze in someone’s front yard. There were maybe 2 dozen birds; they were startlingly large. Here in northeast Ohio, I’m quite used to deer darting in front of my car, but turkeys? Not so much! Here is the recipe for the bird feeder. It makes a great kid’s project. Coat the pine cone with peanut butter. Poor Mr. Hankey. It snowed all over him, and now he has a snow cap. Will the birds be able to find the feeder? I think that the answer would be yes. 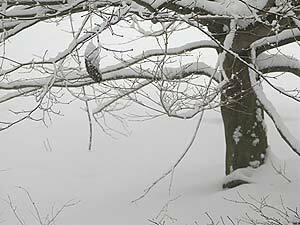 I have only seen one bird looking it over – a bright red Cardinal, but that was before the snow.